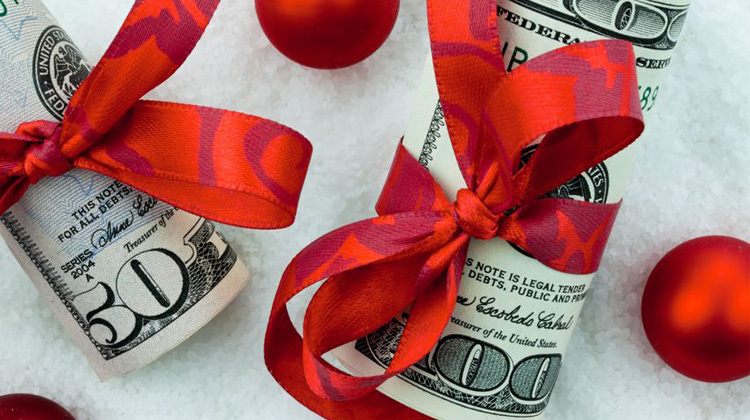 Call them Christmas bonuses, year-end bonuses, holiday bonuses, New Year bonuses, or whatever fits your culture. At our company, we call them Christmas bonuses. And this year, with a team that’s larger and more diverse than ever, here are the questions I considered when determining how to go about presenting bonuses to the team (not listed in any particular order). Should everyone get the same bonus amount? What about employees versus independent contractors? Should employees get more? Should independent contractors get anything at all? Should employee performance be factored into the bonus amount (merit-based)? What about seniority? Do loyal employees get more, or should Christmas bonuses be based only on the current year? Should Christmas bonuses be determined as a proportion of salary? In other words, should higher salaried employees get a larger bonus because they make more annually? What about job title/job functions? Should employees be ranked in terms of their importance to the company then given bonuses in proportion to that? Should bonus amounts be, at least in part, based on who I like the best? Or is that somehow unethical? If employees are given varying amounts, should they be discouraged from sharing their bonus amounts with one another? Does that go against the corporate culture of internal transparency that we’re working to maintain? How should bonuses be delivered? Is it best to process them through payroll so taxes are taken out on the employee’s behalf? Or is that somehow tackier than simply giving them a check, which requires them to handle tax implications separately? What about just giving cash? Would that be perceived as tacky or cool? Should the bonus be accompanied by an explanation for the amount, or should it just be presented without any reasoning as to how the amount was chosen? Does giving a bonus create an opportunity to provide positive feedback and/or discuss areas of improvement? Or should the bonus stand alone, separate from any dialog about employee performance? Do the employees care more about the specific bonus amount or simply the recognition they receive by being given a bonus? Should bonuses be based on how much work and/or sales the employee completed during the year? Should bonuses be given based on overall company profits? If the company profits more, should bonuses increase proportionally? What about a new employee? Should their bonus be prorated for the part of the year they worked with the company, or should they get a “full year” bonus? How might that offend employees who were with the company all year? How will the bonus amount given this year affect expectations for following years? Is there a minimum bonus amount below which it just seems cheap or insulting? If so, what’s that amount, and is it different for each person? What about gift cards? It is more thoughtful and personal to give gift cards to places I know each team member likes? Should I frame the presentation of bonuses as being charitable (maybe you could really use this), festive (adds to the fun of the holidays), motivational (work harder next year and maybe you’ll get more), compensation-oriented (you worked hard this year and deserve a bonus), or some combination of these mindsets? Perhaps you’re thinking that I’ve made this process too complicated, and you may be right. But these are the questions I considered in the process of determining how to approach, value and present bonuses for my team. What did I end up doing? Well, that’s for another time. Feel free to share your answers to any of these questions in the comments section below.